Last week, I listed Florida State as the biggest villain Oregon has faced in recent memory. When their pairing with the Ducks was announced for the playoff, Oregon fans rejoiced at the ultimate matchup of good versus evil. As I sat down to write this week, I was fully prepared to crank up the hate machine and fire off a list of reasons to hate Florida State. And then, the holidays happened. Holidays are about gathering with those we love, either physically or virtually, and reminding ourselves of what really matters in life. Many celebrate Christmas, and for those that don’t, the days off still provide the opportunity to connect with loved ones. The world slows down, we gather with those we care about, and suddenly the idea of animosity for a bunch of people who went to a different college thousands of miles away over a football game seems absurd. If literal mortal enemies could call a truce on Christmas, football fans can achieve any form of humanity. When the hostile emotions of the matchup are stripped away and replaced with the positivity of the holidays, combined with the existing knowledge of why we hated an opponent in the first place, and only one feeling remains: Pity. Instead of hating Florida State, we should feel sorry for them. Feel sorry for Jimbo Fisher, who despite winning a national championship, still feels so insecure about the need to win that he exhibits zero interest in resolving the off-field incidents of his players. Or feel sorry that he feels so compelled to sell this attitude that he pushes the propagandizing task onto his family. Mostly, feel for him that unless something significantly changes the direction of his career, his legacy will always be tied to the controversial quarterback he brought to Tallahassee, Jameis Winston. Yes, even feel sorry for Jameis Winston. Winston is draft eligible and expected to declare following this season, which means he will hold his first full-time job and by societal definition be classified as “an adult.” Yet those who were responsible for shepherding his transition into adulthood have failed to provide him with the structure necessary to become a proper member of society. Feel for the women who will have to interact with a man with his definition of consent. Feel for the teammates who have a quarterback like him as the example for his team, letting them know they can get away with the same. First, it was Bobo Wilson and Karlos Williams, and now we learn about Dalvin Cook as part of public records request the Tallahassee Police Department furtively released on Christmas Eve. About that Tallahassee Police Department, we can feel sorry for them, too. Like any police department, the majority of the sworn officers of the TPD are decent, hard-working individuals who go to work every day to uphold the law. Yet for those types within the TPD they have to have their reputation sullied by the rogue members of their department. Feel for those rogue members, too, who are so consumed by a desire to see the local football team succeed that they have completely lost perspective on the responsibility of their jobs; that they have prioritized the freedom of athletes over upholding justice for very citizens they have sworn to protect. Feel sorry for the citizens of Tallahassee, who not only have to live in Tallahassee, but have to live with the knowledge that an organization as corrupt as the Tallahassee PD is tasked with protecting their safety. Many of those citizens are Florida State fans, and we should feel for them as well. 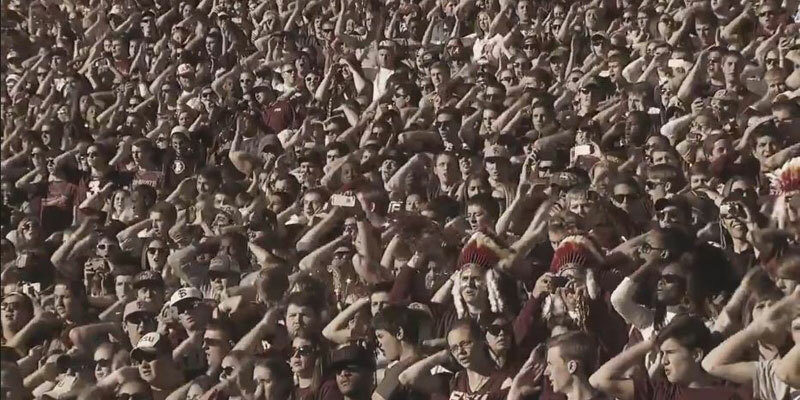 For those Florida State fans that are level-headed and respectful, it has to be hard to have the reputation of their fanbase be known as the craziest of the crazy. Known by the name ”FSUTwitter” who are so insecure that despite being the defending national champions and riding a 29-game winning streak, yet still feel compelled to defend any criticism of the Seminoles as evidence of bias and personal attacks against their program. They attack those who dare to question the actions of individuals on the team as an assault on the team themselves. They frequently resort to arguments or tactics that go outside the lines of proper human behavior, or do so on a greater scale than any other fanbase is known for behaving. Don’t hate Florida State and their football team for all they have wrought, they are simply a collection of misguided individuals who got lost and stumbled onto a 29-game win streak amidst some inferior competition. Clearly they need guidance to right their path, needing to hit bottom to find their way. 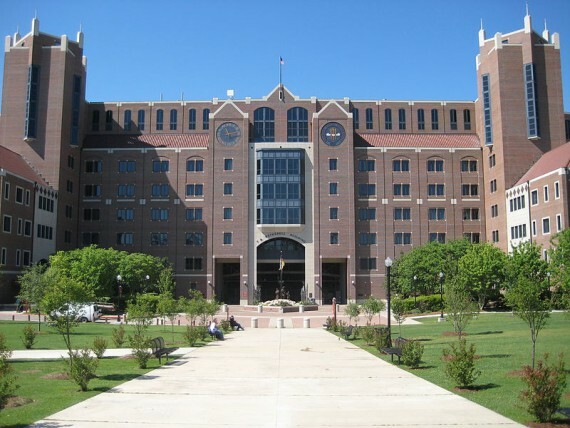 Should Florida State lose Thursday, they will possess neither the moral nor scoreboard high ground. If that happens, it will be the Ducks who will help them find that bottom. All images, including the top image, from video.